Lahore, Punjab Public Service Commission Lahore has started the recruitment of Assistant in the department of Agriculture. 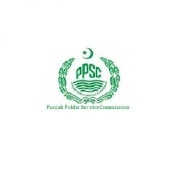 The students, who have already send their application forms for their appointment on this post and appeared in the written test and interviews, they will find their PPSC Assistant merit list 2019. The candidates will get the fresh information about this post and its particulars.